Facebook displays the Verified Badge on verified Facebook Pages to tell visitors that it has confirmed the Page is authentic. According to Facebook, Verified Pages show up higher in search results to attract more visitors. Having a verified badge also lets visitors know the Page is authentic. Proof of a Page’s authenticity shows up as either a gray circle badge with a tick mark or a blue circle badge with a tick mark. The gray Badge (see example above) is for ‘Local Businesses’ or ‘Companies & Organizations’The blue Badge is for Pages that represent ‘select people, sports, media, entertainment, and government’. The Verified Badge appears on Verified Pages below the profile picture, after the Page name. 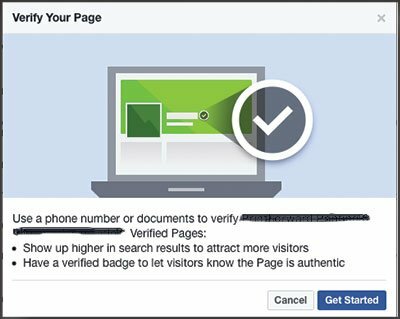 Pages must meet certain criteria and go through a simple process to obtain their Facebook Verified Badge. The process is fairly straightforward for Pages that fall under the ‘Local Businesses’ or ‘Companies & Organizations’ category. For pages that represent public figures, celebrities, sports, media, entertainment and government there is an application process to confirm the Page meets the eligibility requirements. 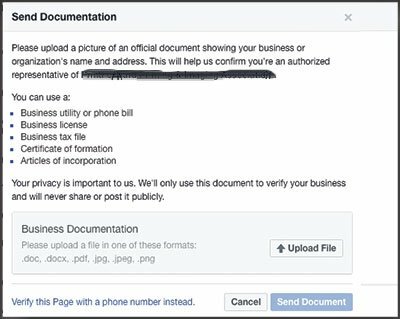 If your Page is in the ‘Local Businesses’ or ‘Companies & Organizations’ category, you may be eligible for the gray Facebook Verification Badge. 1. Click the ‘Settings’ link at the top right of your Facebook Page. 2. From the ‘General’ section (you’ll arrive there), click ‘Page Verification’. 3. Click ‘Verify this Page’ and then click ‘Get Started’. 4. Enter the publicly listed phone number used for your business along with your country, and language. 5. 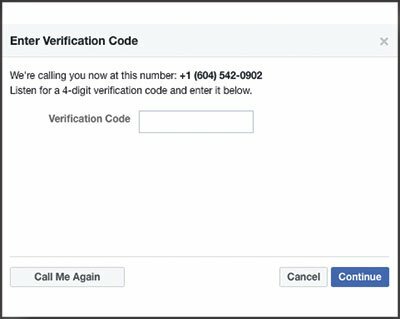 Click ‘Call Me Now’ to allow Facebook to call you with a verification code. 6. Enter the 4-digit verification code in the space provided and click ‘Continue’. Your Page should now show the grey badge after your Facebook Page name. You’ll know Facebook has approved verification of your page when the grey badge appears after your Facebook Page name. 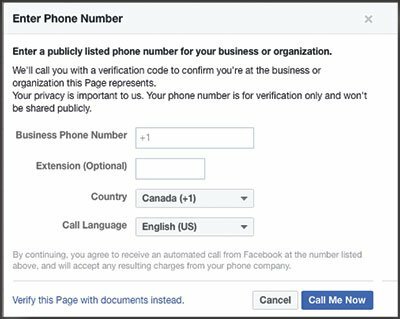 Note: If your Facebook Page is considered new, or newer by Facebook, chances are you will have to go this route to verify your Page. 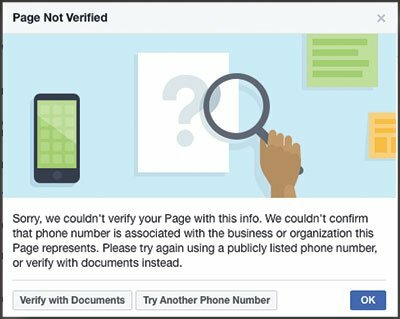 Pages with a longer history, along with the publicly listed business number, seem to have a better chance of being able to verify their Page by phone. If your Page represents public figures, celebrities, sports, media, entertainment and government you may be eligible for a blue Facebook Verified Badge. Look for the ‘Page Verification’ field on the ‘General’ tab in the ‘Settings’ area. If the field is showing on your Page, the option of obtaining a Verified Badge for your Page proof should be available to you.